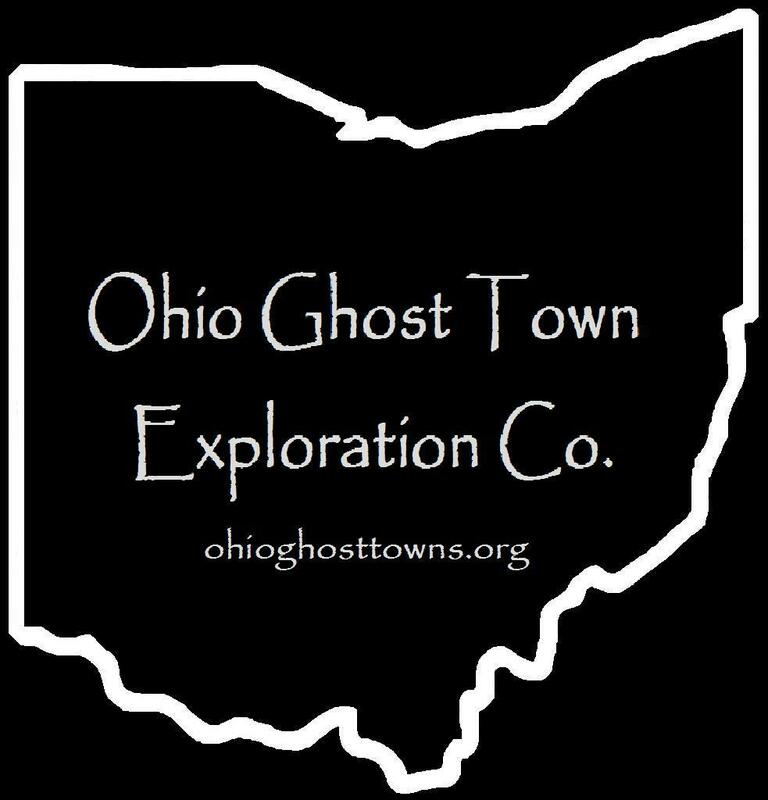 Hamilton County – Ohio Ghost Town Exploration Co. Featuring 3 towns with 10 pictures from Hamilton County, “Restored Ohio” is scheduled for release on April 29, 2019. It’s the sequel of “Abandoned Ohio” (2018) & shows a different side of what physically remains of Ohio’s past. Many of the locations operate as businesses such as restaurants, hotels (former stagecoach stops), museums, & working mills. The town was initially just a cluster of log cabins around a few block storage houses, but it quickly grew to have 50 houses, a mill, & a school in 1790. The school was the first one in Ohio & the first school west of the original 13 colonies. It was run by John Reily (1763 – 1850), who was also a Revolutionary War veteran, as were most of the other men in the original group. The Columbia Baptist Church congregation also formed in 1790. They built the first church in Hamilton County in 1792. Reverend John Smith (1735 – 1824) was its minister & went on to be one of the first U.S. Senators from Ohio, serving from 1803 – 1808. An old hamlet along Clough Pike was settled in the late 1790s & named after Revolutionary War veteran & surveyor Richard Clough Anderson (1750-1826). It doesn’t pop up on maps anymore & is considered to be in Newtown, although it’s probably closer to Mt. Washington. The Miller – Leuser Log House was constructed on land formerly owned by Revolutionary War Captain Matthew Jouitt, who was granted 600 acres of land for his service. One of his sons contacted Nathaniel Massie to sell the property after Matthew passed away in 1793. Ichabod Miller (1774-1839) & Sarah (Mercer) Miller (1767-1832) bought 400 acres of the land along Clough Creek in 1796. Their cabin at the intersection of Bartles Road & Clough Pike was built sometime around that year. It was occupied for over 170 years and changed ownership several times. Joseph & Matilda Leuser bought the property in 1907. Their newlywed son Lawrence Leuser (1889-1964) & his bride Emma (Kuntz) Leuser (1889-1969) moved into the house in 1910 & spent over 50 golden years together there. The Anderson Township Historical Society purchased it in 1971 and conducted the restoration. The outside lot has a historical marker with more information, an old barn, restored wagon, a GEM water well pump, & the original water well has been reconstructed too. Tours of the cabin are available on the first and third Sundays in June to October from 1 p.m. -4 p.m. & can be requested to be open for private tours & school trips. Its furnished with antiques & has been on the National Register Of Historic Places since 1974. As Anderson Township celebrates its 225th anniversary, the old buildings around Clough have enjoyed some extra attention recently, with more events like walking tours & additional indoor activities. The town’s last school was built in 1874 at the intersection of Clough Pike and Goldengate Dr. It’s currently Clough Crossings Restaurant & features some historical exhibits & memorabilia from the area. Over at the corner of Clough Pike and Hunley Rd, The Clark Stone House was constructed a few years after the Miller – Leuser Log House by Revolutionary War veteran & successful entrepreneur James Clark (1765 – 1852) & Savannah Clark (1765 – 1837). They moved to Ohio from Virginia & had 10 children. James was a justice of the peace & served in the state legislature. One of their sons, Orson, lived in the house until 1854 when he sold it Adam Leuser (1819 – 1905) & Juliana (Fink) Leuser (1825 – 1892), a couple of hopeful immigrants from Germany. Joseph Leuser, who bought the log cabin down the road, was one of their sons. Genevieve (Leuser) Messmer (1894 – 1978) & Joseph Messmer (1891 – 1984) inherited the stone house in 1923. Joseph was a florist & built a greenhouse next it. Three of the Messmer daughters sold the house to Anderson Township in 1995. A historical marker was placed in the front yard in September of 2018. As with the log cabin, it also has an old barn on the property & several other old objects of local & historical interest. The Greenfield Plant Farm next to the stone house at 6840 Clough Pike continues on with the land’s agricultural tradition & promotes its heritage. Many of the town’s residents & pioneers were buried in Clough Baptist Church Cemetery on Bridges Rd, right around the corner from Clough Pike. The gravestone of James and Savannah Clark is in the left side in the corner on top of the hill. More information on the town, church congregation, and former church building is displayed at the entrance. Ichabod & Sarah Miller were buried with relatives in Columbia Baptist Church Cemetery on Wilmer Avenue in Columbia -Tusculum. Most of the Leuser family was buried in Guardian Angels Cemetery on Salem Rd in Mt. Washington. Dent was originally called Challensville & was named after the town’s first preacher, Reverend James Challen (1802 – 1878). The first house in town was the Three Mile Hotel which some of the early farmers in the area used as their residence. The Challensville post office ran from 1843 – 1846. Charles Gustav Reemelin (1814 – 1896) was a German immigrant & a state senator who lived in the town & had its name changed to Dent after a large depression in the earth near his house & vineyards. In its early days, Dent had a church, school, several stores, & a few dozen residences along Harrison Pike. The population was around 100 in 1895 & the post office ran from 1846 – 1904 when the mail started going through Cincinnati. The town’s biggest claim to fame is the Dent Schoolhouse which was built in 1894. It’s said to be haunted by the ghost of Charlie McFee, a former janitor, & the children he killed. Rumors of children disappearing in Dent began to circulate in 1942 but the story eventually lost its steam. However, in 1955 seven more children supposedly went missing & the parents began to speculate about the strange smell that would occasionally rise from the basement. The parents reportedly went down there & found the remains of a couple of dozen children hidden in the walls. Charlie the janitor was long gone, & although a reward was put out for his capture, he was never found or arrested. The Dent Schoolhouse was closed shortly after that & has been converted into one of Ohio’s most popular haunted houses. It gets around 30,000 visitors every year during the Halloween season. Jacob Markely (1803 – 1879) & Emaline (Martin) Markley (1805 – 1870) donated land for Five Mile Chapel & Cemetery at 6977 Five Mile Road in Anderson Township. Jacob’s parents, John Markley (1769 – 1841) & Mary (Springer) Markley (1756 – 1837), spent time in Maryland, Pennsylvania, & Virginia before moving to Ohio. John constructed a saw mill next to Five Mile Creek & used the lumber it produced to build cabinets & flatboats. The boats were used to ship good from the area to towns on the Ohio & Mississippi rivers as far a New Orleans. Jacob & Emaline had 11 children & joined the family business. The United Brethren congregation along Five Mile Creek built the church and officially established the cemetery in 1844. They used stones from the creek for the church construction with a limestone foundation & slate slab roof. It can be spotted on the 1847, 1869, and 1884 county maps. Five Mile Chapel has undergone some remodeling. Its front doors originally faced John & Mary Markley’s graves. That changed when the bell tower was added in 1896 & the entrance moved to its base. Regular services ended in 1963 and it was added to the National Register Of Historic Places in 1978. The church & cemetery fell into disrepair for a while. Floods from the creek also damaged the building some over the years. It was adopted by the Five Mile Chapel Society who raised funds for repairs, maintenance, & upkeep. A creek wall was also constructed to prevent future flood damage. The cemetery is enclosed with a nice split log fence and has a historical marker for the Markley family. Events held at the church include an annual ice cream social & a Christmas gathering with carols & decoration making. The church also hosts around a dozen weddings every year and can seat 60 guests. In 1900 Willliam J. Holthingrichs bought an ice company & changed the name to The Home City Ice & Coal Co. in 1910, naming it after the nearby neighborhood. Home city had its own train station on the Big Four Railroad (Cleveland, Cincinnati, Chicago, & St. Louis) & post office that ran from 1854 – 1911. The ice company was sold to Gottleib Hartweg who moved it to Ivanhoe Avenue in 1911. That same year Home City lost its name as Sayler Park was incorporated. There are still several remnants & old buildings left from when Sayler Park was Home City. It’s a nice area to spend a day along to the Ohio river.